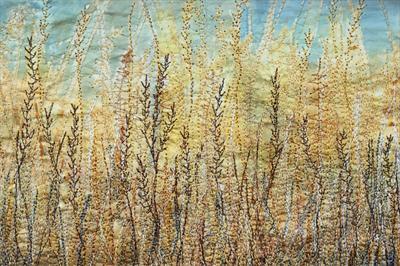 Amanda Hislop will be returning to Eau Brink Studio for a two day workshop. Mark making and texture…A Sketchbook exploration using the local environment. Sketchbooks are an important element in the development of Amanda’s work. These books are a place to be free and explore ideas, keep references and working samples. A big part of Amanda’s working practice and are used as an inspirational resource in the teaching of workshops and summer schools. 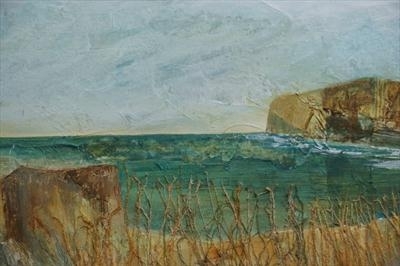 Amanda offers a creative workshop exploring a free approach to generating ideas through a working sketchbook, looking at abstract ideas and personal themes relating to land and seascapes, an enjoyable experience working in a relaxed atmosphere discovering personal creativity. Using the local landscape Amanda will teach us how to fill our sketchbooks with lines, colour and depth. Taking away the fear of drawing and sketching. Helping us to understand that we are not taking a picture of what we see but making a representation of it for our own art work. You do not need to be able to draw for this workshop. Amanda will help you to see the landscape in a very different way. Young Textile students are learning all the skill needed for a career in Textiles fashion and art at college. Is it water or bark? But are you getting enough experience and practice to excel in your chosen field? Do you want to push the boundaries and make more of your art? If you do then you need to come to Eau Brink Studio and learn how to use art materials for Textiles. 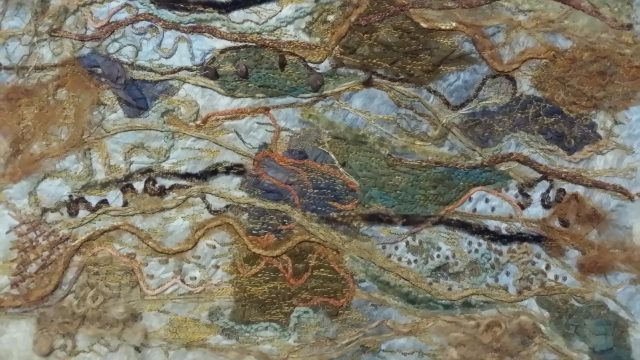 Learn how to incorporate traditional stitch into your art. For 6 weeks only in the summer. Cost includes materials and refreshments but not lunch.